OOOH! I’m really pleased with how our flowers are blooming. This week we added 2 flowers, the one on the right side of the canvas is the furthest in the distance. 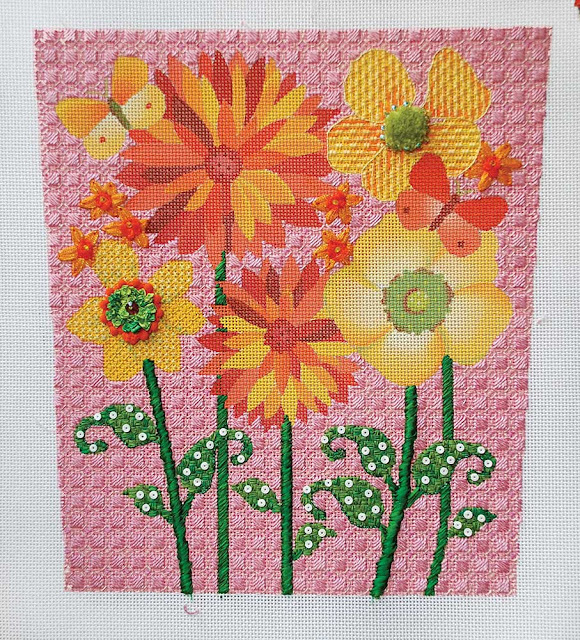 It needed a subtle pattern that wouldn’t compete with the background or the rest of the flowers. It also needed the pretty shading to show through. Laid Filling Stitch to the rescue! The daffodil on the left provided quite a challenge. I wanted it to be soft so that the center of the flower would be the star but I wanted the petals to separate from one another. Lots of experimenting later and I found the perfect combination of stitches. Both are very similar starting with a diamond grid but then are embellished differently. 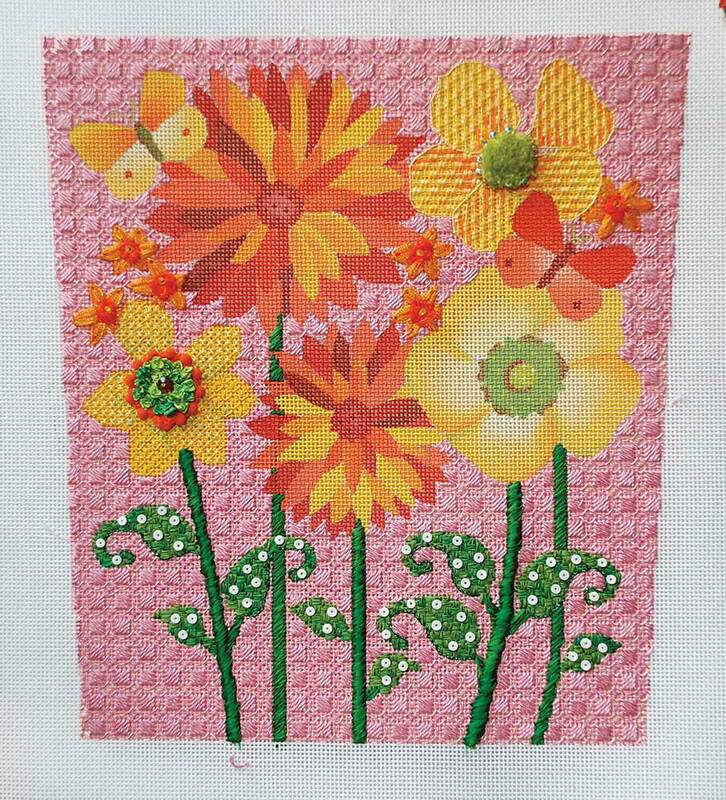 The addition of metallics and beads create the allusion that some petals come slightly forward while others recede. I’m off to create more blooms and blossoms; we’re almost there! « Previous: A New On-Line Community just for us! Very pretty! I think you've done a great job collaborating with Melissa Shirley to create a canvas anyone would be proud to carry (or display). Love the flowers. You did a beautiful job. Have to really get working to catch up with you. My husband even said that this is a beautiful piece and he never comments on anything. glad you like the flowers, more to come. OMG, love those leaves! Fun, fun, fun.